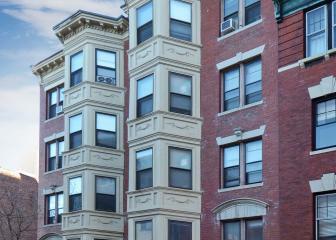 Boston's oldest neighborhood, Beacon Hill is rich in history and architectural charm. Filled with quaint shops, neighborhood cafés and just a quick walk to the Charles River Esplanade, Beacon Hill is considered one of the most desirable places to live in Boston. From its famous Public Garden to the impressive State House, Beacon Hill is the quintessential Boston neighborhood. 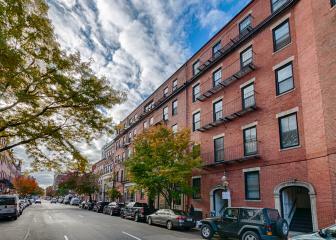 Located behind the historic Massachusetts State House, this property features renovated common areas, a spacious backyard accessible to all residents and shared laundry facilities on the lower level. The renovated units feature exposed brick walls, hardwood floors and updated kitchens. 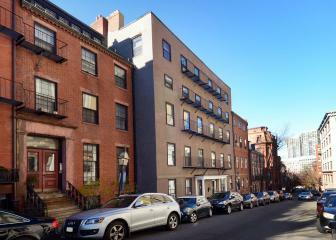 Double bow-front buildings on Beacon Hill with an attractive lobby and spacious units. 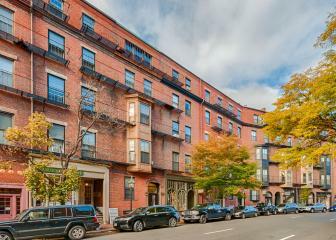 Situated on one of the most charming streets on Beacon Hill, the building is just one block from the State House and within easy walking distance to the Whole Foods supermarket at Charles River Plaza and the many shops and restaurants on Charles Street.